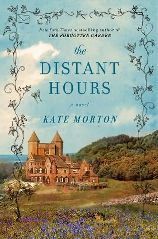 This won't be a lengthy review, because saying too much about the plot of Kate Morton's The Distant Hours might spoil it for readers, and that's the last thing I'd want to do. I received a galley from the publisher a month ago and decided to save it to read as a birthday present to myself. 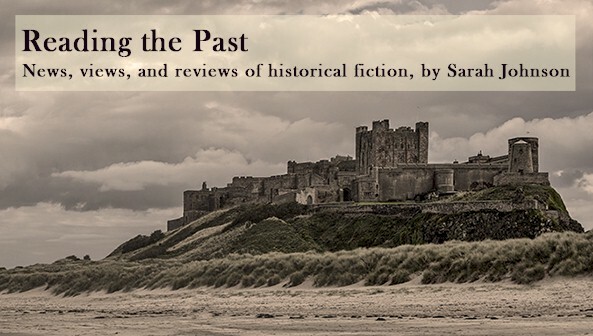 Full of intrigue, period atmosphere, and layers upon layers of carefully hidden secrets, it's an expansive multi-period saga with classic Gothic elements and a multitude of well-developed, intriguing characters. The plotline had me guessing every step of the way. Crossing back and forth between 1992 and various dates during the WWII years, the novel opens as the present runs up against the past. A mysterious letter arrives fifty years too late, and Edie Burchill, a thirty-year-old London book editor, wonders why its contents would cause her mother such distress. Perhaps if Juniper Blythe's long-ago missive to Meredith Burchill had reached her in time, Juniper might have been spared the madness that befell her in her youth. Evacuated out of London with other children during the war in anticipation of German bombings, Meredith had spent a year living at Milderhurst Castle in Kent, where she and brilliant, eccentric Juniper had become the best of friends, despite their slight age difference. Their friendship was not to last. Persephone and Seraphina Blythe, Juniper's now-elderly twin sisters, have cared for their fragile younger sibling ever since the terrible night in 1941 when Juniper's fiance deserted her, and she lost her mind as a result. Edie's visit to the castle in search of answers serves as the catalyst for a series of disquieting revelations about the Blythes and further insight into the complicated dynamics within her own family. When Edie learns of Juniper's family connection to Raymond Blythe, the reclusive author who penned the beloved (and intensely creepy) children's novel The True History of the Mud Man, she grows even more intrigued. No one ever knew what inspired him to write the book; it has remained an unsolved mystery. The Distant Hours is the type of novel you inhabit rather than simply read, and I found it satisfying on every level. I admired Morton's clever use of point of view and how it illustrated how younger generations view those who came before them. It would be an excellent read-alike choice for anyone who enjoyed Diane Setterfield's The Thirteenth Tale, Sarah Waters's The Little Stranger, and others of that ilk. Within its suspenseful plotline, successive aspects of a convoluted mystery lock into place one by one, and the final revelation is a stunner. Most of all, it's a celebration of the power of stories and how they can burrow deeply into our lives. This one certainly had that effect on me. The Distant Hours is published on November 9th by Atria at $26.00/C$29.99 (672pp, hardbound). I have thoroughly enjoyed the books I have read from Kate Morton before and I am looking forward to this one a lot! I have two of Kate Morton's books on my to read list and I hope to get to read them very soon. I am really excited about reading them since I definitely loved The Thirteenth Tale and The Little Stranger. Such good news!I've got this one sitting here patiently taunting me. I really need to get to it quickly. You all have a wonderful experience in store... I envy anyone who's reading it for the first time. The Distant Hours is the type of novel you inhabit rather than simply read, and I found it satisfying on every level. What a perfectly lovely summing up of your reading experience, and what an enjoyable, eloquent post. As I went through your description of the story I was reminded of The Thirteenth Tale, so I was delighted when I reached your reference to it. I lost myself in the atmospheric richness of that book, but did also experience one or two moments of not so cosy repugnance - the memory of why, exactly, is too vague now, but it did dim my eagerness to revisit the book. When you called the children's book in The Distant Hours "intensely creepy", I became a little nervous. Not enough to keep from reading it, though! Thanks for the heads up on this book. I really enjoyed The Thirteenth Tale, and look forward to reading The Distant Hours. Thanks for your kind comments, Danielle! It isn't giving anything away to say that the prologue of the Mud Man book stands as the prologue of this novel, too. Based on the short piece we're given, the Mud Man book seemed very creepy, especially for a kids' story; the creepiness comes from an eerie sense of foreboding rather than anything gory. I found it online at the publisher's site if you're curious! The Thirteenth Tale was one of my favorite novels of a few years ago, and I enjoyed this one even more. It's a lengthier, richer story with several major revelations that caught me off guard. I'm really looking forward to reading this one - its' a top pick on my Amazon Christmas Wish List. I think Kate Morton becomes a better writer with each book - I found "The Forgotten Garden" to be significantly better than "The House at Riverton." I really enjoyed The Thirteenth Tale, so I'm glad to hear this one is even better! I haven't read any of Morton's books yet, but I have this one and The House at Riverton waiting for me. Thank you for the link, Sarah,and the additional comparison with Setterfield's book. I read the excerpt and am well and truly hooked. Loved The Thirteenth Tale and have Morton's Forgotten Garden on my TBR. Really looking forward to this one as well! You said "A mysterious letter arrives fifty years too late, and Edie Burchill, a thirty-year-old London book editor, wonders why its contents would cause her mother such distress. Perhaps if Juniper Blythe's long-ago missive to Meredith Burchill had reached her in time, Juniper might have been spared the madness that befell her in her youth." Wasm't it Edie who would have been spared the madness? I haven't yet read The Forgotten Garden. It's one of those I was saving to read because I didn't want it to be over too soon... silly, I know! Deb - Juniper's the character who goes mad as a young woman, not Edie. Am I misunderstanding what you're trying to get at? Havent heard of that yet but sounds like a good book. Just finished this novel tonight. I can't say enough good things about Kate Morton, her writing is beautiful and she tells such wonderful, haunting tales. Another winner! I'm already eagerly anticipating her next book. Your review is encouraging - I'm over 200 pages into the book and not enjoying it as much as its predecessors - I'm finding it plodding and over-written and, as always with Morton, I have the feeling I've already read it somewhere eise. This review was really well done! I've read The Forgotten Garden by Morton and thoroughly enjoyed it. With this review I will now pick up this novel and read it as well. I look forward to more reviews along with other Kate Morton novels. Great, I hope you enjoy it. This is my favorite of all of Kate Morton's novels, which says a lot! I eagerly await anything new from her.